Once a quarter at a brown bag luncheon for the library staff, I book talk fifteen books. Most of them are recent releases, with a few older titles thrown in once in a while. It's a chance for the library staff to learn about some titles they might have missed. Then, they can share these books with the library patrons. Here's the list of books I'm presenting today. Maman’s Homesick Pie by Donia Bijan. Subtitled a Persian Heart in an American Kitchen, Bijan’s story of growing up in Iran, and her cooking experiences as an adult. 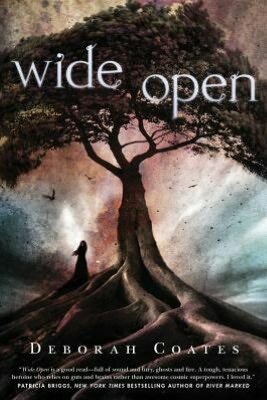 Wide Open by Deborah Coates. Debut novel telling of Sergeant Hallie Michaels’ return from Afghanistan in order to deal with her sister’s death, a suspected suicide. So Damn Lucky by Deborah Coonts. Another fun romp through Las Vegas with casino troubleshooter Lucky O’Toole as she deals with disappearing magicians & Halloween. The Unseen by Heather Graham. When women go missing in San Antonio, a Texas Ranger & a U.S. marshal are part of the team who have psychic abilities to deal with the dead. 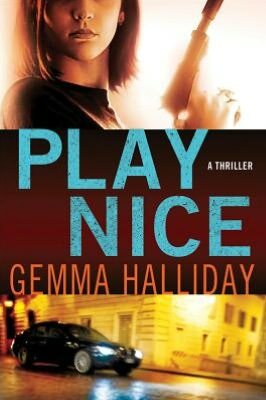 Play Nice by Gemma Halliday. An assassin tries to leave the field, only to be tracked to San Francisco by a hired gun planning to kill her, who ends up saving her life. So Much Pretty by Cara Hoffman. Multiple narrators tell the disturbing story of a New York small town and the tragedies that hit it. Making Piece: A Memoir of Love, Loss and Pie by Beth M. Howard. After the sudden death of her husband, Howard can’t cope with life until she returns to making pies. Some Assembly Required: A Journal of My Son’s First Son by Anne Lamott. Lamott and her son, Sam, team up to tell the story of the unexpected pregnancy of Sam’s girlfriend when he’s only nineteen, and the first year of the baby’s life. Cloudland by Joseph Olshan. When she finds the body of a woman who has been missing for months, former news reporter Catherine Winslow teams up with a forensic psychiatrist to find the killer, someone she might know well. Angelina’s Bachelors by Brian O’Reilly. When a young woman’s husband dies, she feeds breakfast and dinner to a group of bachelors in Philadelphia’s Italian community. 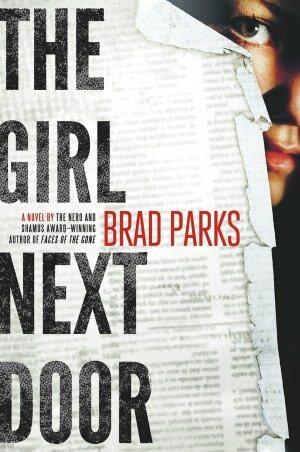 The Girl Next Door by Brad Parks. Investigative journalist Carter Ross is convinced he knows who killed a newspaper delivery person, and sets out to find the story. The Book of Lost Fragrances by M.J. Rose. A story that weaves together reincarnation, ancient Egypt, international intrigue, and a lost book of fragrances. Attachments by Rainbow Rowell. A charming story of two newspaper employees who e-mail each other, knowing someone is monitoring it, and the man who can’t resist reading their correspondence. 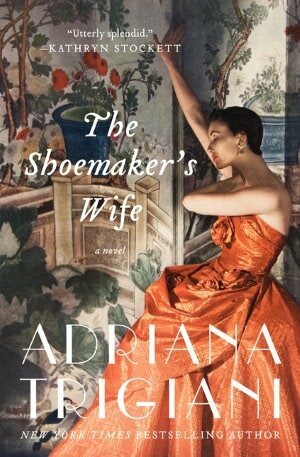 The Shoemaker’s Wife by Adriana Trigiani. The epic love story between two Italians who emigrate to the U.S., and through the years, can’t seem to find their way to each other. So Pretty It Hurts by Kate White. True crime journalist Bailey Weggins is on the scene when a supermodel is killed and all the suspects are trapped together by a blizzard. This is always a fun day. I wish you could all join us! I wish I could join you for this, Lesa. I'd love to brown bag it and talk books! Many of these titles are new to me. Oh, that would be so much fun, Beth! So, whenever we get together, we'll go to lunch, and talk books! Hugs! Soooo many good books on that list! There are some really good books on this list, Karen! Lesa - come over to Edinburgh, we can talk books and eat cakes ad infinitum! Holy Shi*, Christian, Simply a few post , appearance as if I got some reading to strive and do here, great job in the collection. Thanks. It's actually a great and helpful piece of information. I am satisfied that you just shared this helpful information with us. Please keep us up to date like this. Thank you for sharing.